The utmost chique airport shopping mall that brings the whole word in one place, ready to welcome every lifestyle on Earth to a new shopping experience in Market Street design. 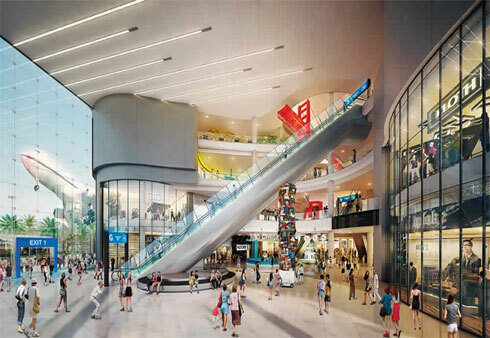 The design an inspiration of the world's top 6 shopping megapolises connected with intriguing designs and extraordinary longest escalator in Thailand. Eyes-captivating with airplanes on a 250-meter-long run-way next to a simulated beach. The Shopping Complex is only a 15-minute drive from the Villa. As a Special Offer to our customers we will give up to 4 persons FREE TRANSPORT to Terminal 21 when you stay with us. Please Enquire using form, on this website.